Niseko United is the name given to the collection of four ski resorts located on the Niseko Annupuri mountain, which stands 1,308m above sea level, and which forms the eastern-most part of the Niseko Volcanic Group. A special location amongst the vast wilderness of Hokkaido, Niseko Annupuri offers a stunning view of Mt. Youtei, the main peak of Niseko. Seasonal winds from the Eurasian continent pass over the Sea of Japan, drawing up high levels of moisture that in turn brings theperfect powder snow to the region throughout the winter months. 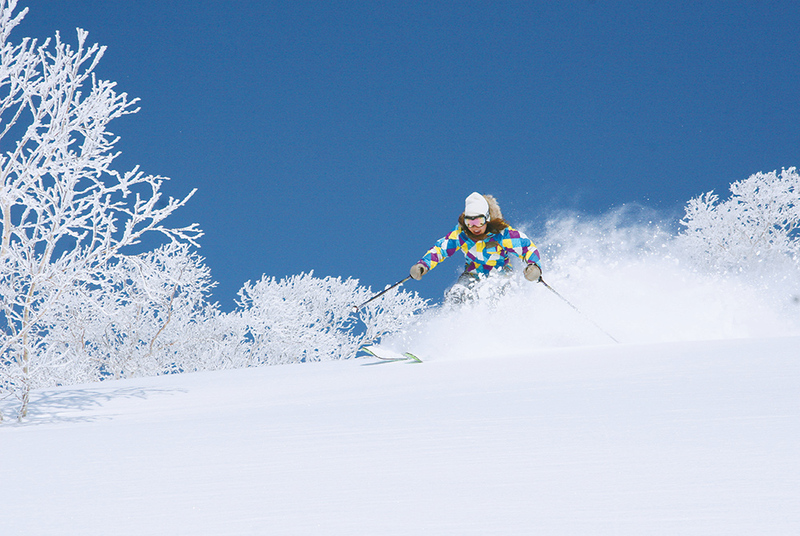 The majestic outline of the Niseko Annupuri mountainside and the beautiful winter forests offer an unforgettable skiing experience for both beginner and expert skiers alike. The skiing areas running from east to west on the south side of the Niseko Annupuri mountains are the Niseko Hanazono Ski Resort, the Niseko Grand Hirafu Ski Resort, Niseko Village Ski Resort, and the Niseko Annupuri Ski Area. Niseko is the most well known of Japan’s skiing areas amongst skiing enthusiasts, and is visited by over 20,000 visitors from Australia each year. The story began in the 1980’s when Australians who visited the area spread the word about the allure of Niseko, leading to a steady increase in visitors from Australia with each passing year. Today, there are numerous luxury condominiums that Australians have developed and invested in, and the town is almost like an Australian village where families can enjoy extended stays. A snow resort with everything from powder snow to a park area. Many attractions are on offer, from various trails and Hokkaido’s largest park area to half pipes. The Strawberry Fields ski run is known for its unique geographical formation, and the Hanazono 308 facility is perfect for relaxing after skiing. The largest of the four skiing areas in the region, the Niseko Grand Hirafu Ski Resort offers not only the latest facilities, but superb powder snow, accommodation ranging from hotels to condominiums, hot springs, restaurants, and more amongst the foothills of the mountains. Here, the forested slopes directly connected to two resort hotels offer a skiing course through virgin forest, making for the perfect resort space. Take in some of the leading powder cruising in the country! A snow school, various activities, and programs aimed at children are also on offer. Enjoy some of the best powder snow on wide skiing courses that only Annupuri can boast, along with carefully planned groomed runs. The surrounds are home to many interesting hot springs, and the area is the perfect spot to enjoy one of the great draws of winter – open-air hot spring bathing.